Glub glub glub? No, that's not it. Swish swash? That's not right either. Bubble bubble toil and trouble? Eh, that's close enough! Sir Max here, reporting that fish noises are hard to sound out. You may be wondering why I'm trying to sound out fish noises, or better yet, why I'm writing this underwater. Keep reading, friends, because we have a new update to discuss! First off, let's talk about the whale in the water: What I'm doing writing a blog post from underwater. Nay, it's not to spot any seahorses or search for the shoe I lost. (If you find a missing shoe in Donald's Dock, please contact me.) Instead, it's to listen to the new works of the Toontown Symphony Orchestra! As many of you know, Toontown is filled with all sorts of music. But where does it come from? Who composes it? Is the album available on iToons? It's best not to think about those things and just enjoy it, which is exactly what I'm doing with this new underwater music! 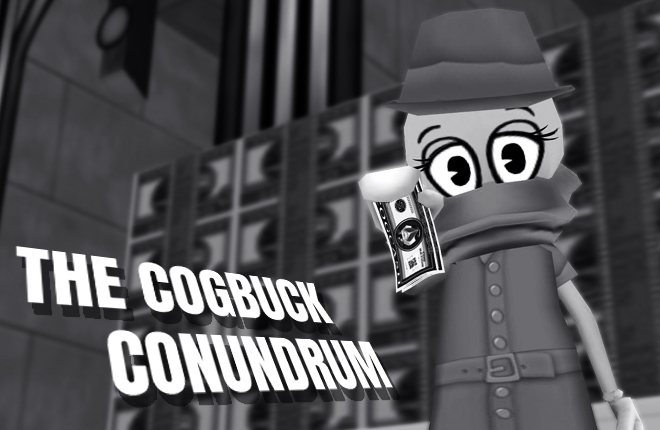 Hold your breath for just a little while longer, because that isn't the only tweak coming to Toontown! Most of the Toon Troopers are busy working on prepping for the big celebration opening later this month, but I've been working the new Troops to the brim to crank out some widely requested features and fixes. I'd read them all to you now, but it turns out paper and water are not good friends. Instead, you'll have to settle for this list of changes below that are coming TODAY to Toontown. We hope that you enjoy this little update, and-- GAH! Running out of oxygen! TOODLES! • Fixed a bug allowing Toons to press the button to teleport to a District that they're already in. • Fixed a typo in Loony Louis’s ToonTask dialogue. Let us know if you see any other typos in task messages! • Fixed one of the most commonly reported crashes, which occurred when entering a new area. • You can now adjust the level of detail (LOD) by adding "lod-distance" in your settings.json file. Setting this to higher values will make Toons higher quality from a distance! 0 is the current default, and you can try 1 or 2 for longer distances. • Improved various Toon animation based on community feedback. Thanks for the bug reports! • Toon heads will now smoothly transition forward when falling asleep. • Shadows will now squash and stretch with certain Toon animation, just like they used to in the earlier days of Toontown Online! • Fixed a bug from our Rerigged project that caused Toon pupils to appear pixelated. • Converted all Toon species heads to our internal Rerigged pipeline with miscellaneous fixes and enhancements. • Just as we did last month for Toons, we have moved the Cogs over to our brand new rigging system. This allows for us to create new Cog animation in the future. • Made various fixes and enhancements to Cog and Skelecog appearances. • Updated the Mover and Shakers’ attacks with a better shaking effect during battle. • We've heard your feedback and reversed the anti-macro changes made to Doodle training that were unintentionally bothering fair players. Please be aware though, that using bots or macros to play the game for you is still not allowed by our Terms of Service! • Adjusted the size of the Polar Place sign on the tunnel in The Brrrgh. • Add new underwater music for Donald's Dock and Acorn Acres. Let us know what other areas of the game you'd like to see new music! • Helped prevent accidental teleporting with a new prompt that appears when teleporting out of Cog Facilities. • Adjusted Sellbot HQ spawn locations to fix issues with appearing in the ground. • Fixed a visual bug when unlocking Sellbot Factory doors. • Fixed an issue causing the barrel collect sound to play repeatedly when re-entering a room. • When grabbing a jellybean barrel in a Cog Facility, you’ll now be shown how many beans you collected. • Grabbing a gag barrel will play a unique sound depending on the type of gag being received. • Added various preparations for the upcoming ToonFest event on September 19. Stay TOONed! • Added new SpeedChat phrases that will be active during the event. • Decreased the volume of the "Hype Train" interactive furniture prize. Awesome! I can't wait! Thanks TTR! how long will the update take? Hey guys, does anyone know when toontown wil be up and running again? It's just that I really need to complete a task and it's nearly time for bed! Hmm. How interesting. I'm quite excited, but don't be surprised if my dear subjects lack enthusiasm. Can't wait to hear the new music! So excited! thanks so much! Will the underwater music be available in our estate's pond? Decreased the volume of the hype train? I liked showing my friends "DOO, DOO DOO DOO, DUN! DEE DEE DOH DEE DEE DEE DOH!..." Can't Wait For The New Update TTR Team. Keep Up The Good Work! I'm excited to see if the crashing fix is successful. I've crashed for as long as I've been playing this game. Thank you guys for these bug fixes! I LOVE these new changes! cant wait to see them in person! Have a toontastic day guys! Underwater Music? Only one thing comes to mind... ?Under the sea! Under the sea!~? I'm logging in to hear the new tunes! Toontastic! THANK YOU TTR!!!! I also have a list of bugs I found. The rig glitches out when you interact with the jellybean bank, and my friends keep crashing when they teleport to me when I'm using the Doodle Trick commands!! The doodle Phrase: "Please don't bother me." doesn't work, and neither does the "Stay." command. I am so excited for future updates to toontown! I expect doodles to be even better! <3 Keep up the awesome work, TTR! Updates look great! Thank you for your dedication and hard work! Is the game a bit smoother? I'm so excited for Toonfest! For 2 reasons! Mainly first Toonfest on rewritten and it's on my birthday! Double the amazing Ness! Oh joy! I thought I missed it! Thanks for all the toonyness! The new music is so nice! I usually keep the music in TTR off because it's a bit too loud for me and there's no volume slider for the music alone, but the underwater themes are both really relaxing and they really fit seamlessly. It'd be cool to see a wider variety of music just in general - though if it's ever possible, a jukebox-style feature so we can listen to whichever Toontown track we want wherever we are in game would be really nice. Thanks for the update! I'd like to see, or rather hear, some music in the estates. Ooo lots of new stuff. Keep up the good work Ttr! Super spiffy! I love these little quality of life features! I never liked the weird white noise when you went underwater, so I hope you add them to other areas, too! Seriously cannot wait for Toonfest this year!! Toontown's having more good updates!!!! So excited for the toonfest on september 19th! Wait, where can I find iToons? Nice this underwater music sounds good! • Decreased the volume of the "Hype Train" interactive furniture prize. Thank you!! Well I'll be a dancing fish! These updates are amazing. Now that’s a lotta’ fixes! Sounds great!! You have all been working hard!!! Thanks!!! Looking forward to the new music!!! And especially looking towards ToonFest!!! Have a Toonerific Day!!! maybe there could be estate music in the future? Awesome. I look forward to ToonFest this year! Lit man! Can't wait for ToonFest! Whoa! These look like some nice changes, (I especially like the whole reversing the anti-macro for doodles, and i love the jellybean barrel change.) hopefully we can expect more great updates like this in the future! I'm glad you guys made some cool updates. I'd love to help keep this kind of progress report happening every week! Wow, this sound AMAZING !!!! really cool ill try it out! Its great that you fixed the small leg walk but the jump is weird now, but I guess beggers can't be chosers. Yay! The barrel sound and the changing location on speedchat for tricks was so annoying! I love the updates! Toons of the world unite! I like the new underwater music, especially Donald's Dock. Chip and Dale's pond music is awesome, too, it sounds like there is the duh, duh, duh, from Bossbot HQ. I think you should at underwater music for the estates, team! Toontastic! I'm so excited for toonfest! Thanks for the new music. Its awesome. Just one "but". Can you maybe try adding a .5 sec fade in for the music change. As it is it really slams the ears. 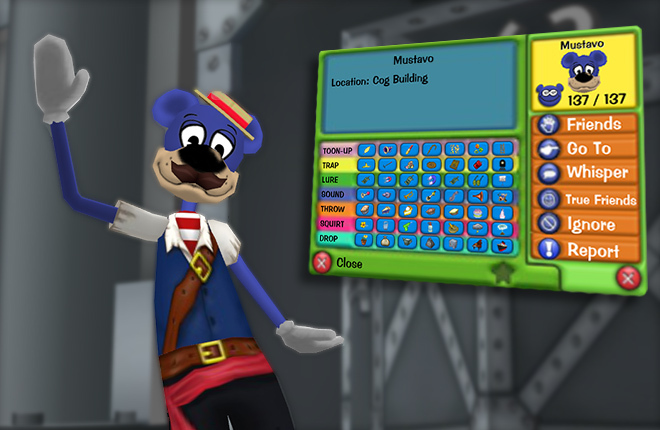 Oh boy cant wait for toonfest 2018 in TTR! Grabbing a gag barrel will play a unique sound depending on the type of gag being received. Best TTR Update because of that. Who is the genius who thought of that!!!!! I found your shoe in Donald's Dock while fishing. 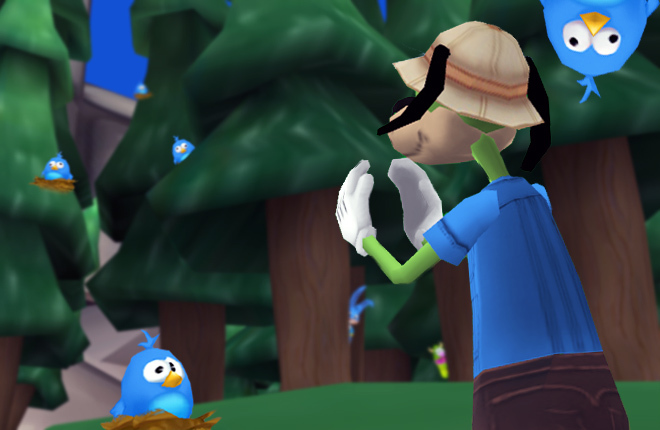 I have a pet parakeet and he seriously loves dancing to the TTR music, LOL! That's why I made this very name for my toon. And this update will make him dance crazy cuter, because of the AMAZING new music of the underwater, and me and my lil' guy say a GIAAAAAAAAAANNNNNNNNNT thanks for the bug fixes and new music! 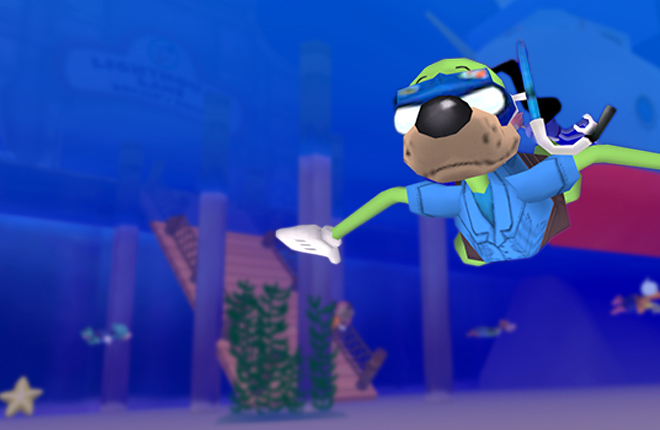 We'll go ahead and give a thanks to Sir Max... for writing this and doing it underwater for us. Though I'm not sure that was the smartest thing to do because he's right-- paper and water ARE not good friends. Maybe could you expand the lake? Just a thought, idk, just having something added to it, makes me fell like it could have a bit more to it? Awesome! I'm so hyped! ? I had a few toons come up to me asking what the new update was. I either replied "Read the newest blog on the website" or summed it up the best I could. BY THE WAY, THE NEW MUSIC IS A HIT. MY FRIENDS AND I LOVE IT AND WE DON'T TURN OUR MUSIC OFF BECAUSE OF IT. Nice work composing! Yippee! New music! I sure hope there's Estate music soon, as well! Fun! I love the new underwater music. I also CANNOT wait for my first attendance to ToonFest. Wow, toons! Great moves. Keep it up. Proud of you. Sneak Peek: Upgrades to Toon T.A.G.S. ToonFest 2018: Toontown Rewritten's 5th Anniversary!